One of the first things I did on our arrival was ask Atreya to telex Los Angeles from his office with a request for Palika dasi to rejoin our party in India next week. After Srila Prabhupada's complaints on the airplane leaving France I can see no alternative. Harikesa Maharaja has conceded that his cooking is not satisfying His Divine Grace and while we are here Nandarani will do it. Prabhupada spent a quiet day following his usual routine, while Atreya Rishi and Dayananda prabhus went off to work in the afternoon. Despite the high altitude causing swelling in Srila Prabhupada's legs and hands again from his uremia, he has decided to stay in Iran until the 13th of the month because the climate here is very nice? sunny and hot, around ninety degrees. Tehran's air, however, is heavily polluted. This afternoon I went out onto the roof to chant my rounds. On one side the mountains tower in the background, and from where we are one should be able to enjoy a panorama of the entire city. However, all I could see were the misty forms of buildings shrouded in a thick, brownish-yellow smog. Teheran must be one of the most polluted cities in the world. The devotees have been preaching here since mid-1973 when Atreya Rishi, who is Iranian, and Navayauvana prabhus came here to start a center. Srila Prabhupada originally advised them to preach to the upper class sections of society. Now that instruction is being wonderfully fulfilled by Parivrajakacarya Swami (who at the moment is suffering from a burst ear drum and is quite sick). A former hatha-yoga teacher, he developed a good connection to the royal family by teaching yoga to one of their distant relatives who was recovering from a drug dependency. He then began teaching the Shah's nephew's wife, Shanaz. This woman is close to the Shah's wife, and through her he also came to know the queen. In fact, he is the first Westerner ever to enter the inner chambers of the royal palace. Now he preaches to the royal family's friends and relatives, using his hatha-yoga expertise to attract them to the process of bhakti-yoga. 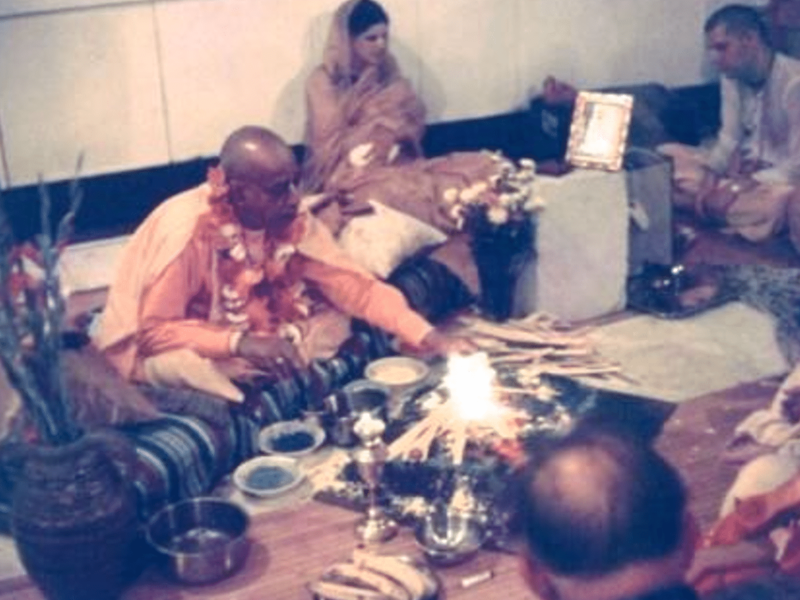 Prabhupada is extremely pleased with his efforts.